Distribution area: North, north east and central Thailand. Not to be found south of Hua Hin. The colour of this animal varies from grass green to grey, brown or yellowy. 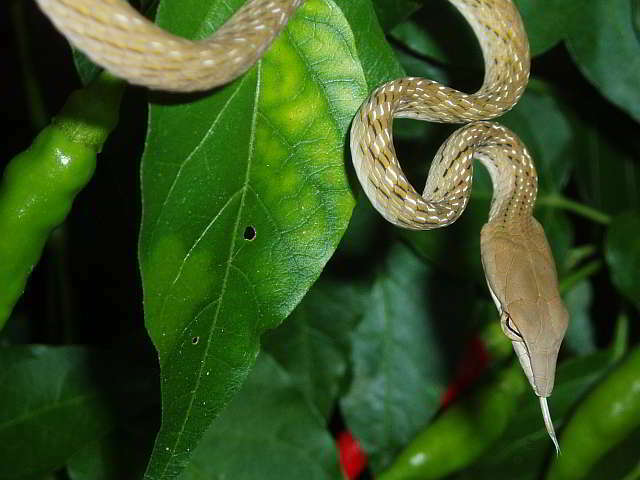 Behaviour/habitat: These snakes, which are active during the day, live in trees and bushes on agricultural land and woods. They feed themselves on frogs, lizards and rodents. 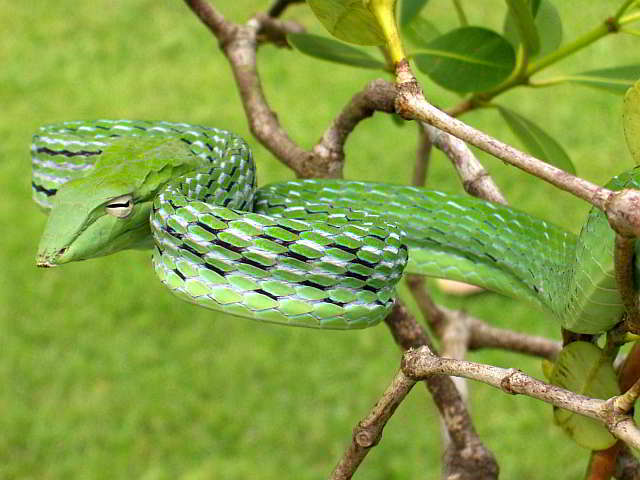 Danger level: Although this is a type of rearfanged snake, there is no danger to humans. The venom must be massaged into the bite wound with chewing movements in order to be effective. 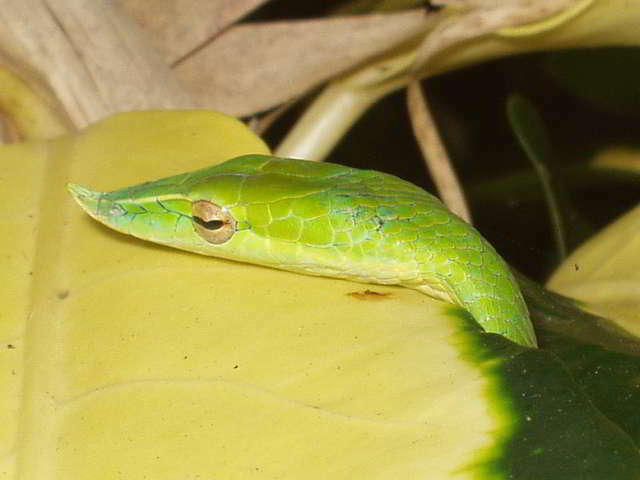 Even when preying on small lizards, the venomous needs 15 minutes before being affective. Distribution area: This subspecies is found throughout Thailand. Gestation lasts approximately 6 months. The females give birth to between 4 and 10 offspring, which are between 420 and 510 mm long at birth.